The contemporary Genova toilet, a stylish compact back to wall WC sits flush against thew wall to conceal pipework and is easier to clean. 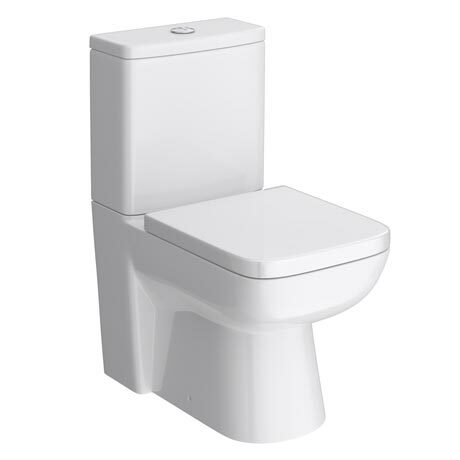 Manufactured from high quality vitreous china and comes complete with a dual flush cistern and top fixing soft close seat. Conceals pipework and is easier to clean. Product arrived on time and undamaged. Exactly as described/expected. Good quality in general and definitely the best 'flush' of any toilet I have ever purchased. Very pleased.